Conservationists and rangers are real heroes working to protect tigers and their habitat. 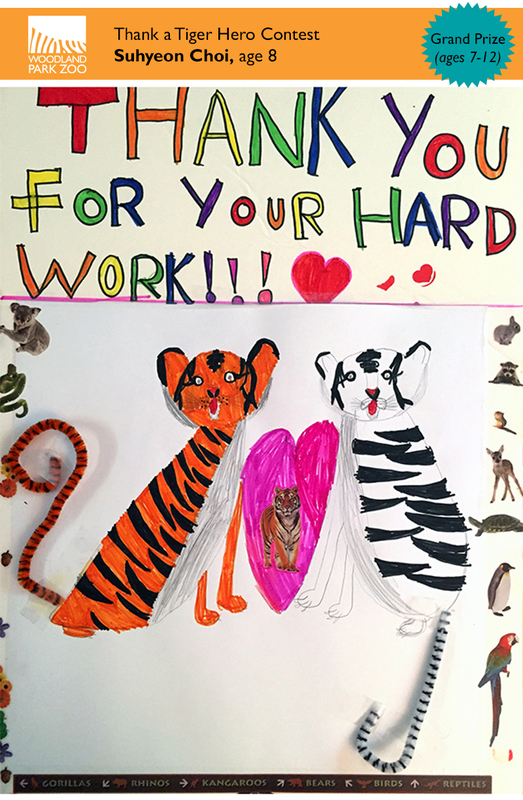 In May, we asked young MyZoo magazine readers to create their own thank you posters and we’d send them straight to our colleagues in the tropical forests of Malaysia. Suhyeon Choi, age 8, won the Grand prize (ages 7-10) which includes a zoo Overnight Adventure on August 15, 2015. Congratulations Suhyeon! 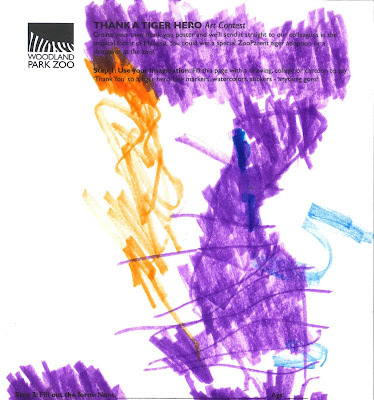 This is what Suhyeon had to say about tigers, "I love tigers because they are cute yet fierce and I love animals all the same". We couldn’t agree more. Suhyeon’s creativity and her rainbow palette really stood out to the judges. 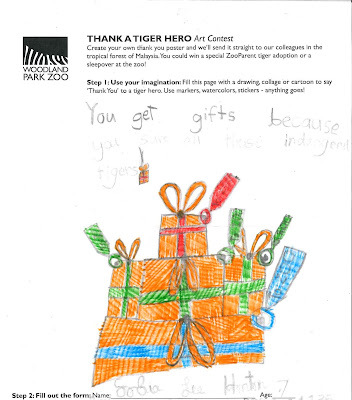 Ella Gruner, age 6, won the Grand prize (ages 3-6) which includes a tiger ZooParent adoption and plush! 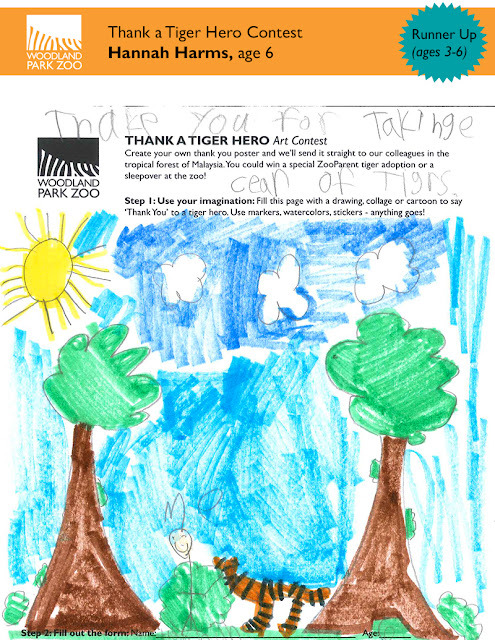 When asked why she loves tigers, Ella said, “I love tigers because they live in one of my favorite places, the jungle.” We really loved her delicate tiger drawing as well as the amazing penmanship and tiger font! Way to go, Ella! Reece Holberg, age 8 and Hannah Harms, age 6 were our two lucky runners up and will each receive a Woodland Park Zoo t-shirt and giraffe feeding tickets. Thanks to all the awesome entries, we have a beautiful stack of "Thank You" posters to send to our colleagues who are dedicated to protecting tigers. 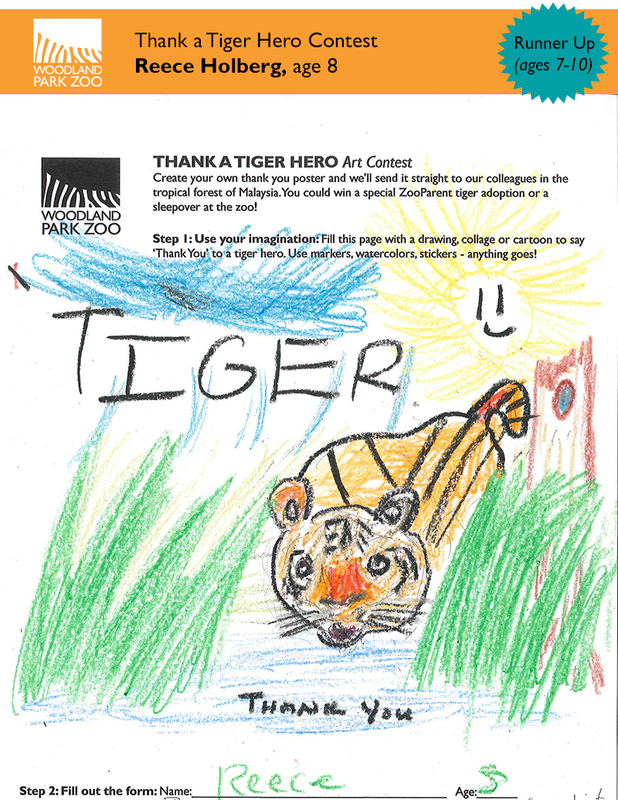 We will send copies of ALL of the entries to our field partners in Malaysia to thank them for being tiger heroes. Field researcher Wai Yee checks a camera trap used to study tiger populations in the area. It takes a team of heroes. 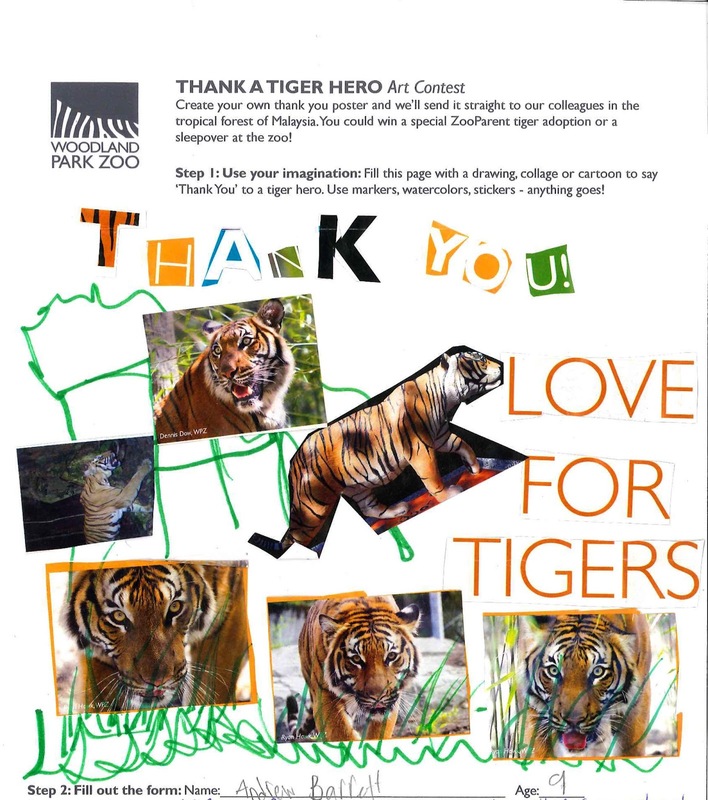 Thank YOU for supporting Woodland Park Zoo and our conservation partners in Malaysia and all across the globe who protect wildlife and wild spaces. Andrew Barrett, age 9. Your collage skills are fantastic, Andrew! Jamison Oleksy, age 8. Two tigers, two mediums and one fine masterpiece! Sophia Lee Honton, age 7. These are the best tiger gifts we'd ever seen! She even labeled each package. Artist unknown, but we love that purple! Vivian Anschell, age 7, a little collaboration with her grandmother Janelle Loewen. We think they make a pretty awesome team! Tigers have always been around, right? Who didn’t grow up seeing Tony the Tiger hawking breakfast cereal, watching Tigger bounce (“Bouncing is what Tiggers do best”) across the pages of Winnie the Pooh, or hearing the story of How the Tiger Got His Stripes? The fictional tigers that brought us a happy childhood are still around, and will be for generations to come, but can the same be said for the real deal—tigers in the wild? Today we focus on those real-life wild tigers, and what can be done to ensure that they too remain for generations to come. Global Tiger Day was set aside to promote the protection of wild tigers and their habitat, and to further awareness and support for their conservation. If there was ever an animal that needed our protection, it’s the majestic tiger. Just over 100 years ago there were as many as 100,000 wild tigers living in Asia. Today there are fewer than 3,200 wild tigers, with only 7% of their original habitat remaining in 13 Asian countries. In the last 80 years, three subspecies of tigers; Javan, Caspian and Bali, have gone extinct in the wild. 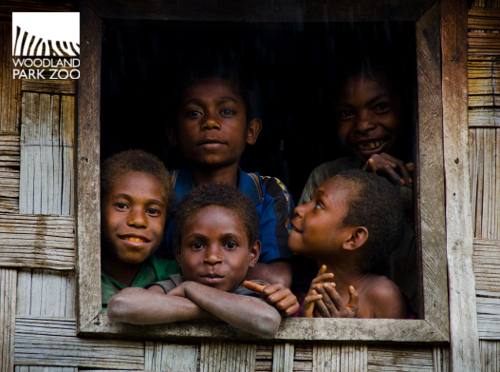 That leaves five subspecies to be saved—which is what today is all about. Here at Woodland Park Zoo (WPZ), with your help we’re doing something to save those remaining tigers. 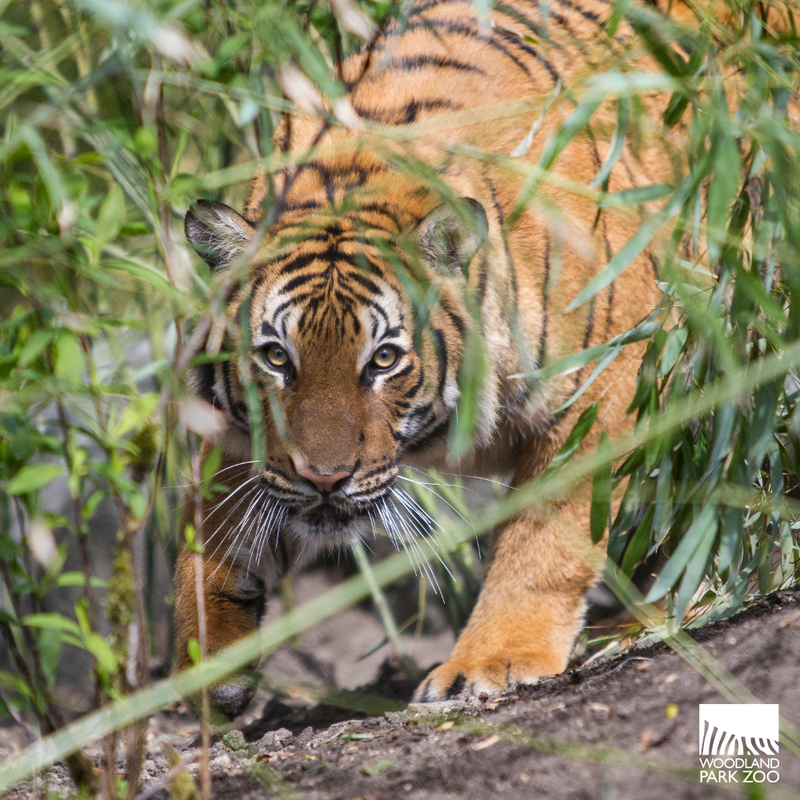 In 2012, WPZ joined forces with Panthera’s Tigers Forever Program, and on-the-ground partners Rimba and Pemantau-Hijau in Malaysia to protect the Malayan tiger. In collaboration with the Department of Wildlife and National Parks (DWNP) and in concert with Malaysia’s National Tiger Action Plan, our collaborative project aims to assess the status of critically endangered Malayan tigers where they live, protecting not only these iconic cats, but their habitat and prey species as well. 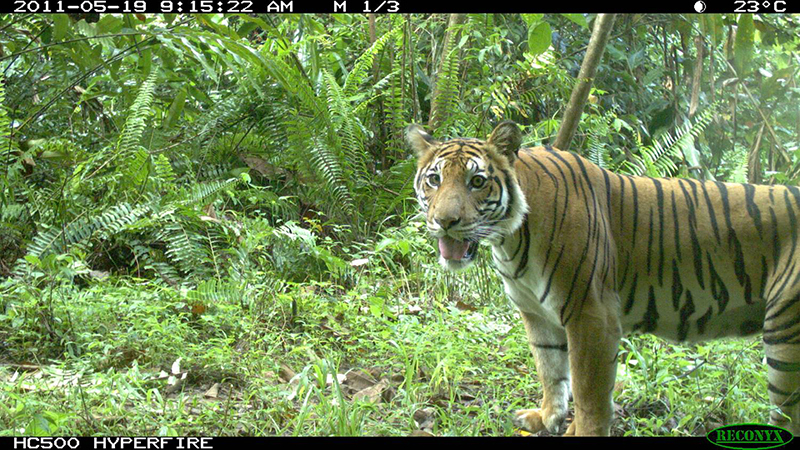 In 2014, Rimba, our partner on the ground in Malaysia, assisted DWNP in setting up nearly 200 camera traps throughout our research site. Information gathered provides a baseline on the status of tigers and other threatened species, including leopards, clouded leopards, sambar deer, Malayan tapirs and Asian elephants. Initial results confirm the presence of tigers, but that the primary prey base of sambar deer is low, likely due to human hunting. This gives Rimba and DWNP the critical information they need in order to begin protecting those tigers and finding ways to protect their prey base. 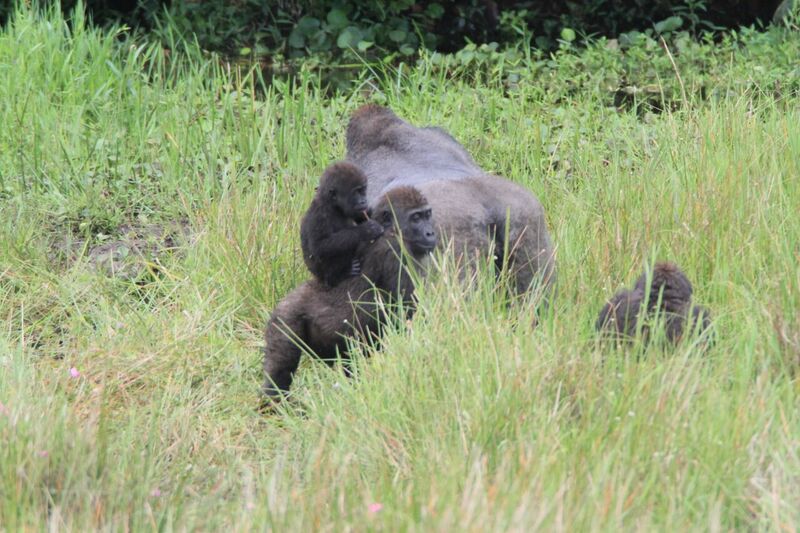 Photo credit Courtesy of Rimba. 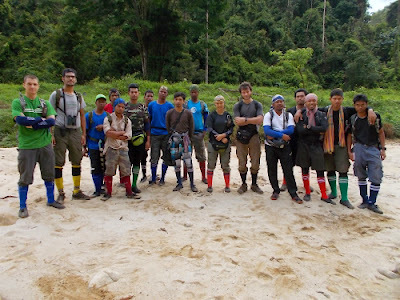 Permantau Hijau (“Green Monitor” in Malay) is our partner organization that supports the researchers and government agencies in monitoring Malaysia’s changing natural environment. Through the use of state-of-the-art technology, the team is able to achieve real-time detection of activities threatening natural resources. Their work on the ground has already contributed to the arrest of seven foreign poachers on two separate occasions in joint enforcement operations with the army and police in our project area. 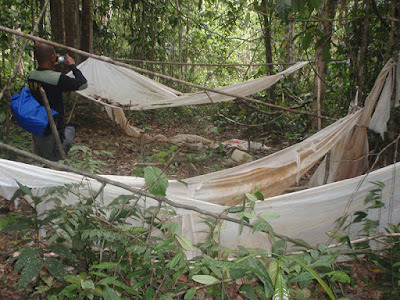 Documenting an illegal campsite near the Taman Negara border - Photo courtesy of Suzalinur Manja Bidin, MYCAT. Another exciting component of the project is our involvement with the Malaysian Conservation Alliance for Tigers (MYCAT). MYCAT conducts citizen conservationist trips—called “Cat (Citizen Action for Tigers) Walks.” Over the course of several days, regular citizens like you and I traverse parts of the Yu River Wildlife Corridor. These “voluntourists” do not act as law enforcement and don’t confront criminals or poachers. What they do is supplement law enforcement officers by increasing the number of eyes and boots on the ground. 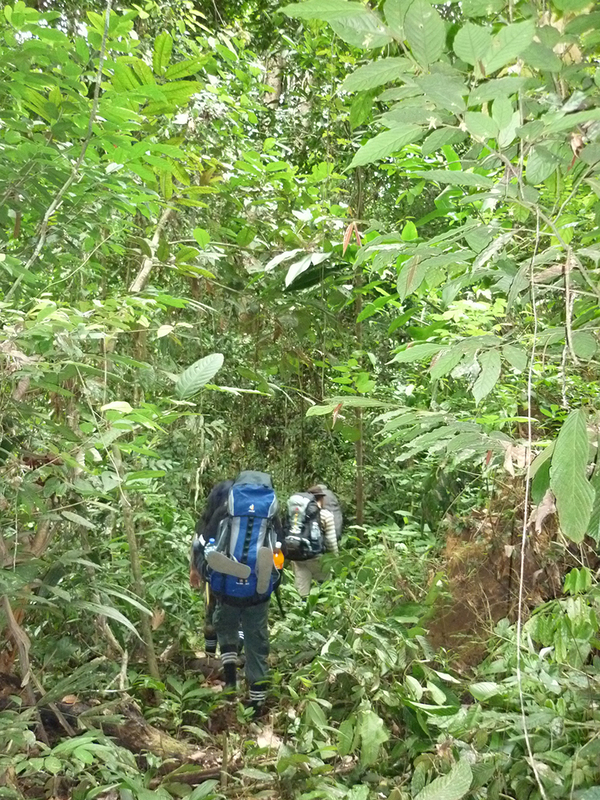 While on these walks, they collect data to help enforce wildlife conservation laws and notify authorities of any sign of poachers in the area. 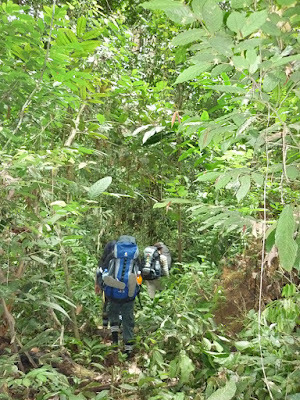 Foot patrol along the Taman Negara border. Photo courtesy of Suzalinur Manja Bidin, MYCAT. Finally, WPZ is partnering with Vulcan on Citizen’s Initiative 1401. I-1401 is a Washington state ballot measure that is designed to help save animals threatened with extinction. The measure would prohibit the purchase, sale, and distribution of products made from a list of 10 endangered animal groups being exploited to the point of potential extinction, and will be enforced by strong penalties. The animals protected by I-1401 include elephants, rhinos, lions, tigers, leopards, cheetahs, marine turtles, pangolins, sharks and rays. To learn more, check out www.zoo.org/yeson1401 for current news. 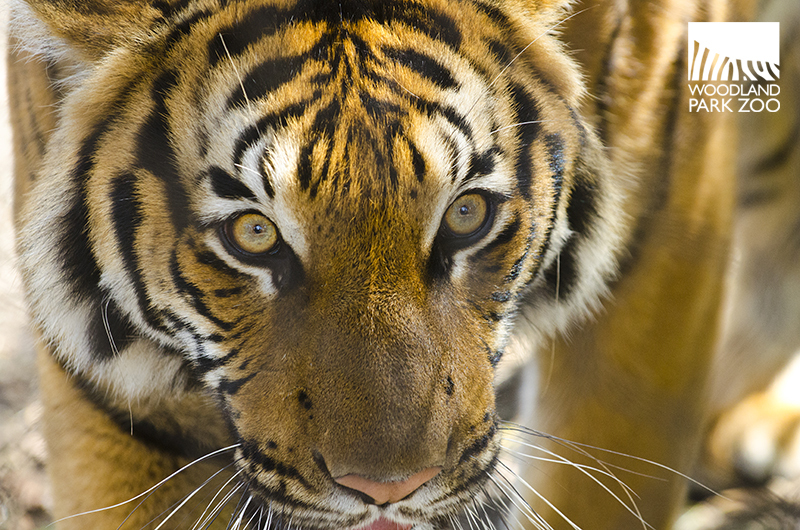 Here are a few things you can do to help us in our fight to save tigers. 1. Come to WPZ and see our three tiger brothers – Liem, Eko and Olan, then learn more about our conservation program to save tigers in Malaysia. 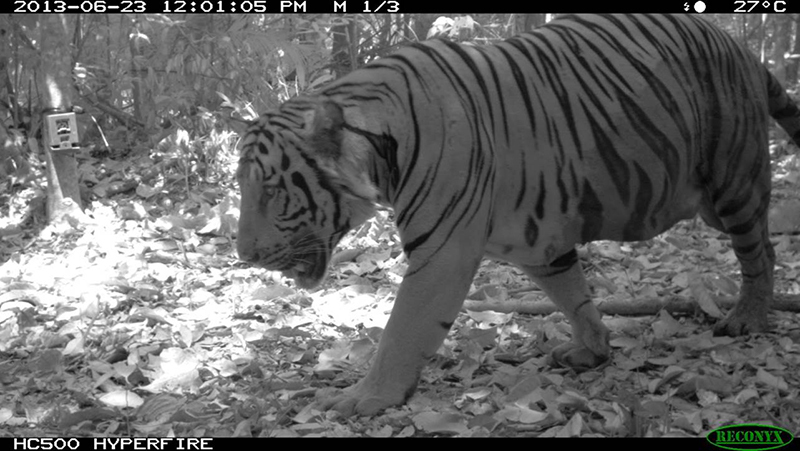 The WPZ-Panthera Malayan Tiger partnership is highlighted in the Banyan Wilds “field house,” a conservation action center going in to depth on our project. 2. 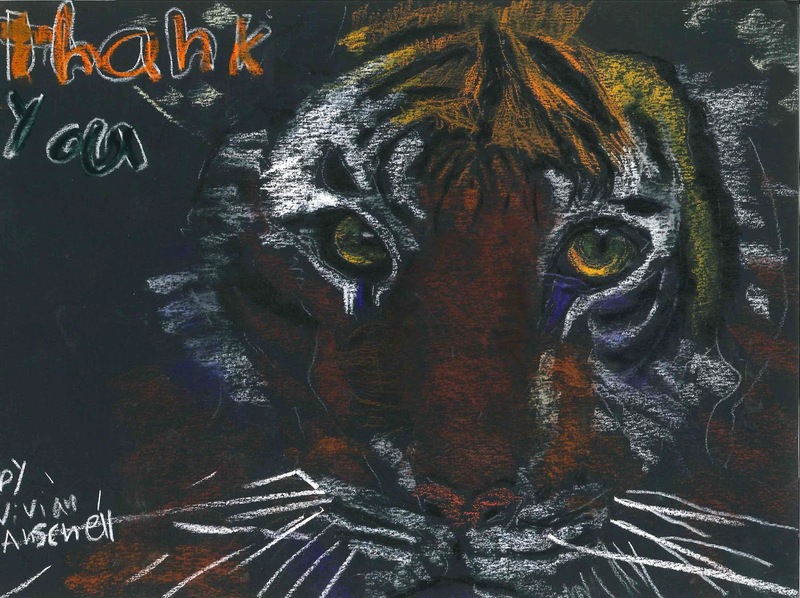 Purchase the first-class “Save Vanishing Species” tiger stamp. 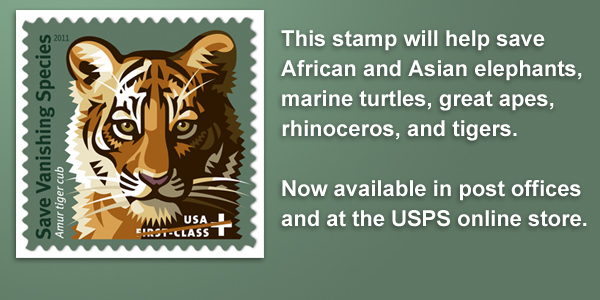 Whether to save, or use, these stamps feature a graphic depiction of an Amur tiger cub. Your purchase benefits conservation projects that re helping create hope for the future for tigers, and other endangered species. As of October, 2012, over $1.74 million has been raised to protect and conserve endangered species. 3. 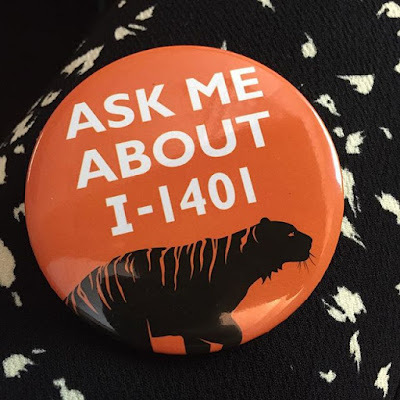 Vote yes on I-1401 this November. Help us be the first state to take a strong stance against the illegal trafficking of wild animal parts. Working together, we can win the race against extinction. We can save threatened animals! Join the campaign. Help get the word out. Make a donation. And vote YES on I-1401! 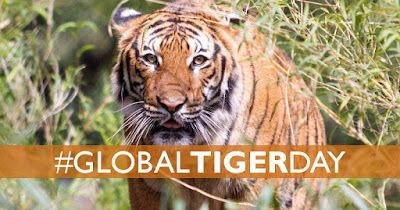 Thank you for supporting tigers Liem, Eko and Olan here at the zoo and tigers all around the world by sharing #GlobalTigerDay with your friends. 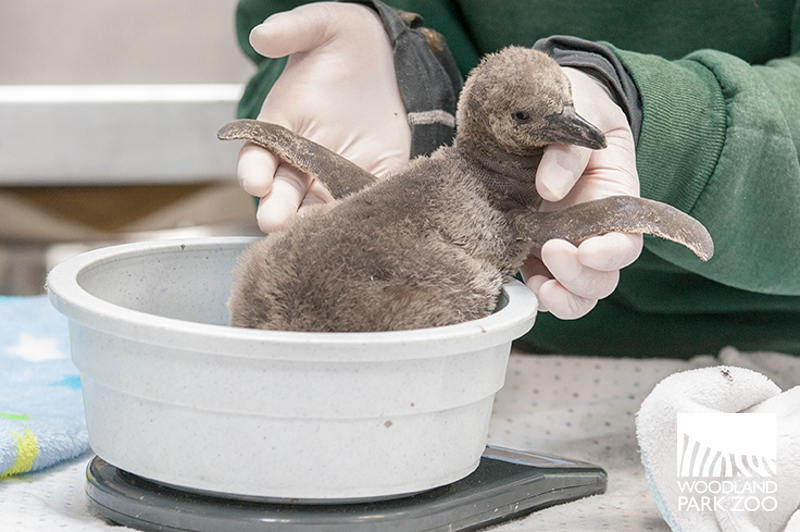 With two late-in-the-season Humboldt penguin hatchings, Woodland Park Zoo has hit a new milestone—50 chicks hatched since 2010, the first breeding season in our new penguin exhibit. 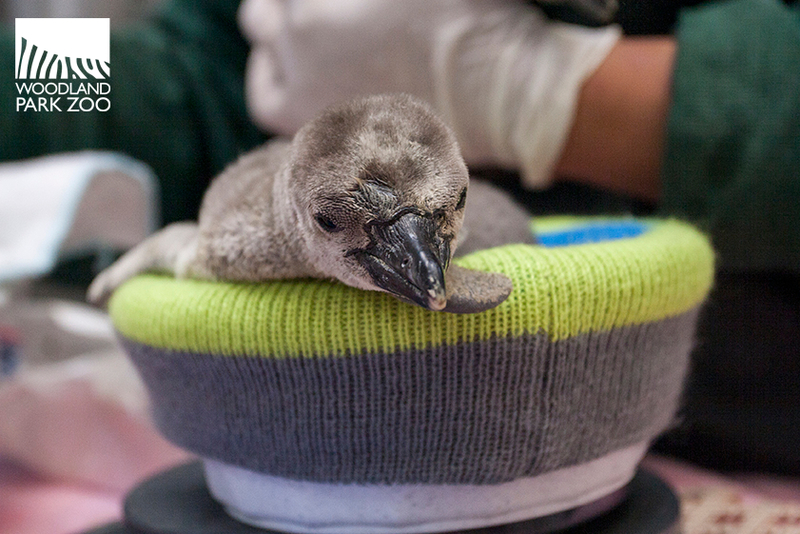 Over the last six breeding seasons at the zoo, penguin chicks have typically hatched between April and May. While the two chicks are latecomers, they are genetically valuable to the North America population. They are the first offspring for 3-year-old father Maximiliano and numbers 11 and 12 for 8-year-old Dora. 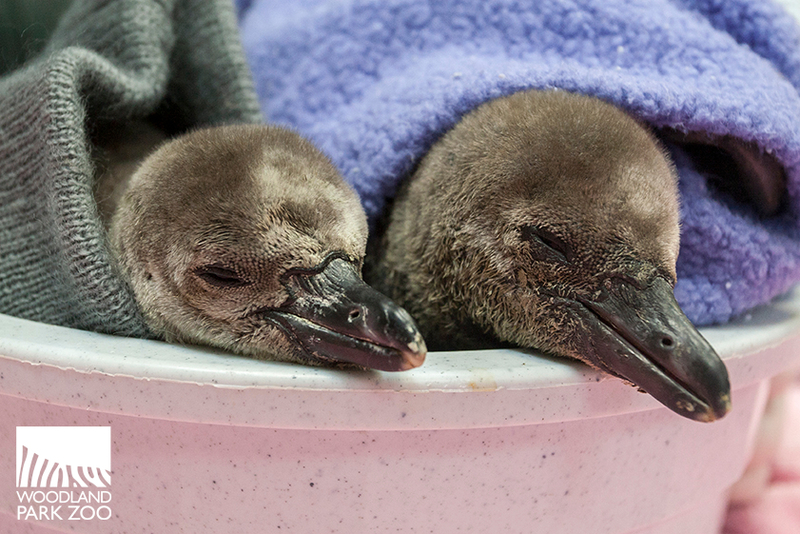 Video: Tiny penguin chicks mark 50th hatching at Woodland Park Zoo. The chicks are off exhibit in nesting burrows where they are under the care of the parents. 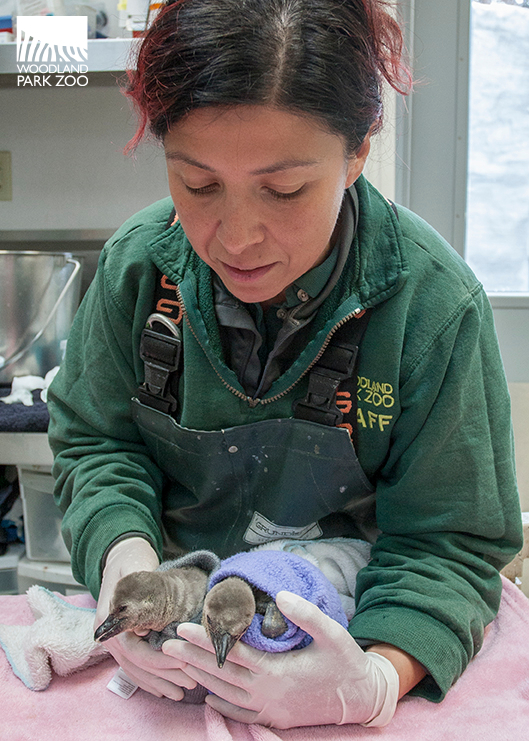 To ensure the chicks are achieving growth milestones, staff weighs them as they develop. Staff minimizes intervention to allow the parents to raise their chicks and gain parental experience. This year’s breeding season produced a total of eight penguin chicks, six of which have now joined the other 39 penguins on view in the award-winning Humboldt penguin exhibit. Look for the older chicks on your next visit with their tell-tale lighter, more grayish feathers. Before the two newest chicks reach fledging age and go outdoors on exhibit, they will be removed from the nest so keepers can condition the birds to approach them for hand feeding and other animal care activities. The chicks also will have round-the-clock access to a shallow pool where they can swim in a more controlled and less crowded environment. The two will join the colony of penguins in the outdoor exhibit sometime in early fall. 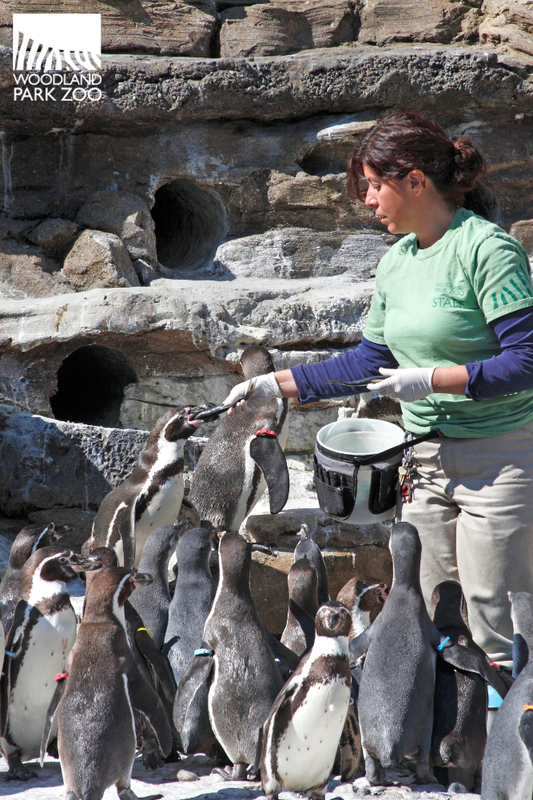 Woodland Park Zoo participates in the Species Survival Plan (SSP) for Humboldt penguins. An endangered species, these birds are important conservation ambassadors to teach visitors about the impacts humans have on penguins in their range countries. 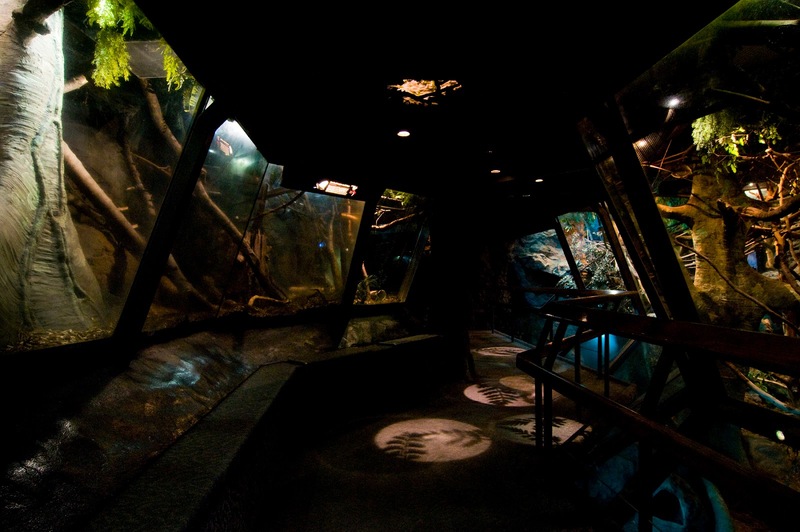 SSPs are sponsored by the Association of Zoos & Aquariums (AZA) and led by experts in husbandry, nutrition, veterinary care, behavior, conservation and genetics. AZA-accredited institutions manage each species as one population in North America to maximize genetic diversity, with the goal of ensuring the long-term survival of the population and the health of individual animals. The penguin exhibit, which opened in 2009, takes zoo visitors to the desert coast of Punta San Juan—home of the largest colony of wild Humboldt penguins in Peru. The 17,000-square-foot naturalistic home features shoreline cliffs, viewable entrances to nesting burrows, rocky tide pools, crashing waves and a beach. People do not usually think of penguins as a desert species. Unlike their ice and snow-dwelling Antarctic cousins, Humboldt penguins inhabit hot, dry coastlines in Peru and Chile. They live on rocky mainland shores, especially near cliffs, or on coastal islands. Humboldt penguins have a body made to swim. Using their strong wings, they “fly” underwater, usually just below the surface, at speeds of up to 20 miles per hour. They steer with their feet and tail. It is estimated that only 12,000 survive in the wild. 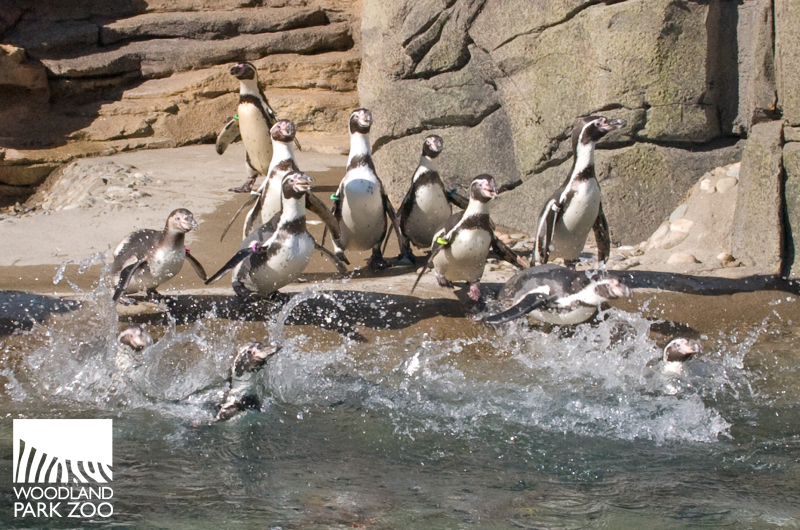 Woodland Park Zoo is committed to conserving Humboldt penguins by supporting the Humboldt Penguin Conservation Center at Punta San Juan, Peru, breeding the birds through the Species Survival Plan and encouraging visitors to choose sustainable seafood options. Every time you visit, you make this work possible. Saturdays and Sundays at 1:30 p.m. are an especially great time to learn more during the penguin keeper talk. See you there! The delicate petal of a sweet rose, the crisp stem on a freshly cut camellia and a mouth full of luscious nasturtiums leaves! 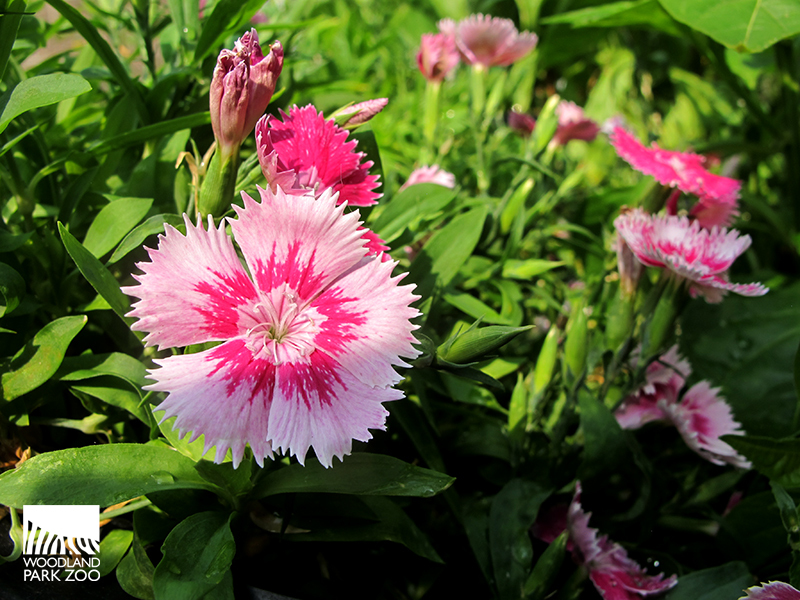 The zoo’s browse gardens are bursting with color and we are celebrating this summer yield with a special delivery of mouthwatering garden plants to our resident herbivores. 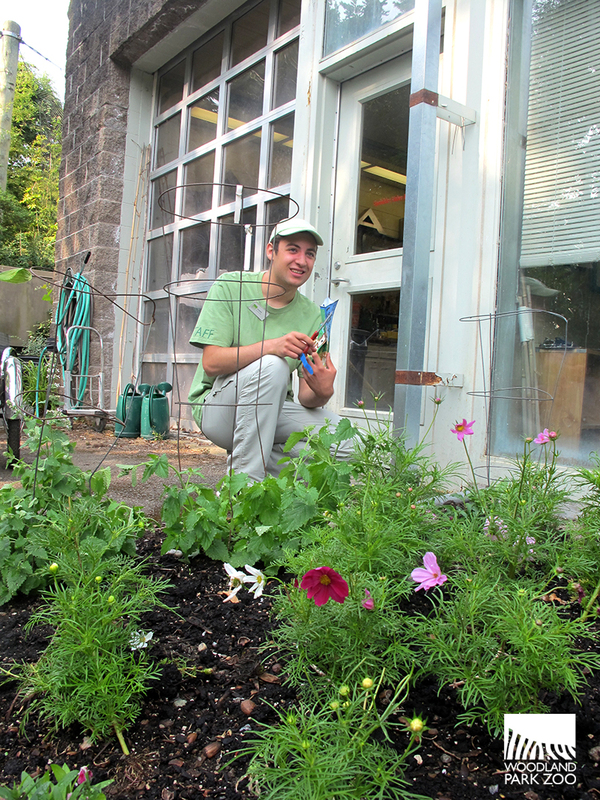 This is the fifth summer of cross-department collaboration between horticulture, animal management, ZooCorps and the commissary. The program has been a great success in ensuring the animals receive fresh summer treats as well as providing an excellent learning opportunity for our ZooCorps teens. Cat nip is attractive to our big cats, just as it is to a house cat. The plant contains the feline attractant nepetalactone. 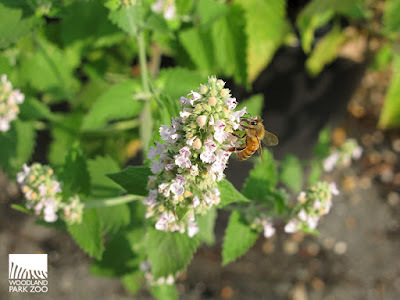 This honey bee seems to enjoy it as well! 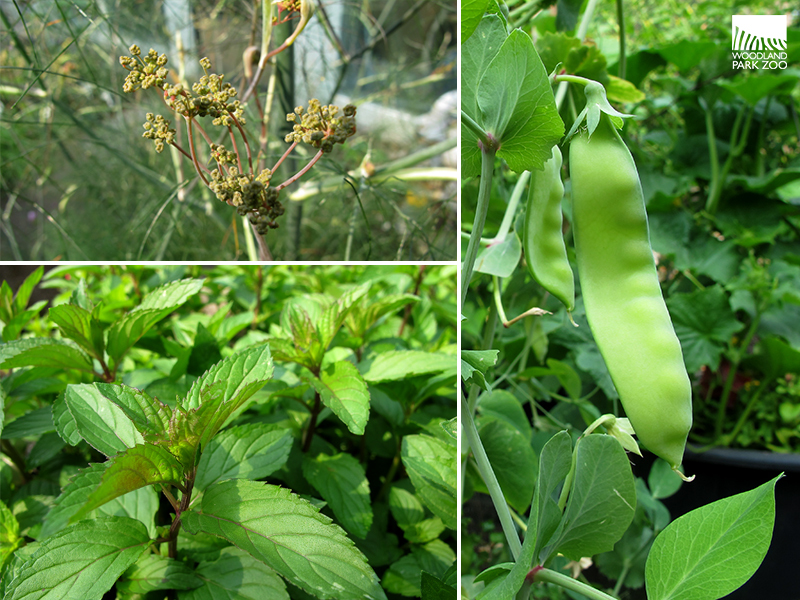 Fennel, mint and sugar-snap peas grow together in the browse garden behind the Tropical Rain Forest unit. Browse gardens are scattered throughout zoo grounds, tucked behind buildings and in-between exhibits, they offer an extra space for horticulture to grow fresh herbs, flowers and some fruits and vegetables. 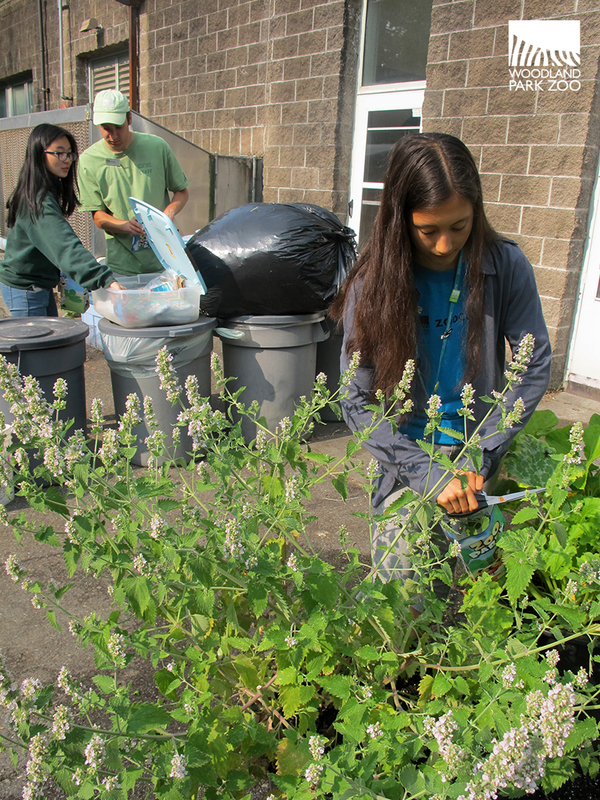 When summer does its part and the browse gardens begin to flourish, the teens in ZooCorps assist with tending the gardens and arranging delivery to the animal units. 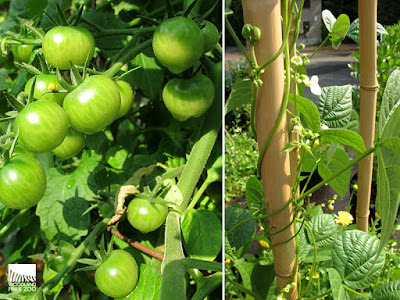 The teens are trained on how to identify the plants, where to cut and most importantly—who is eating what! Zookeepers put in requests for their units and notes for the browse gatherers. ZooCorps teens get together twice a week to deliver the goods to a variety of animal units including tapirs, orangutans, raptors, flamingos, tree roos, elk, sloth bears, gorillas, waterfowl, bugs as well as residents of the conservation aviary, presentation animals, Family Farm, Day House, Australasia, Northern Trail, Savanna and Adaptations. 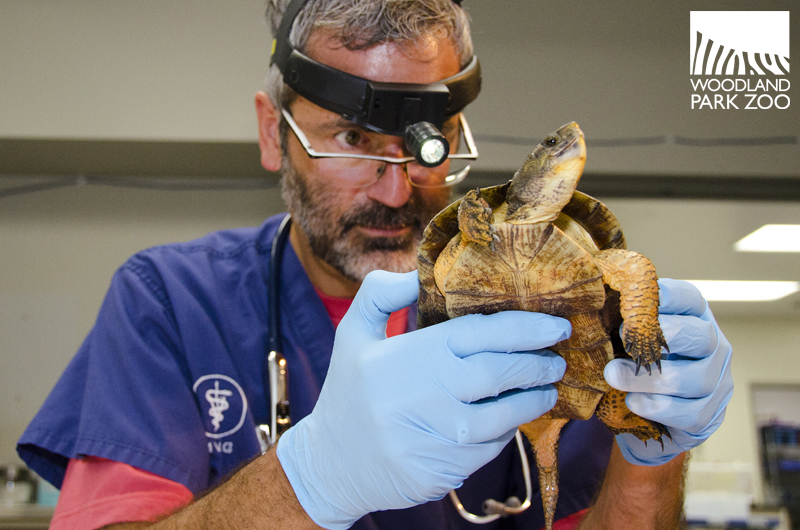 The Animal Health team even requests special browse for their in-house patients. The demand for freshly picked browse is zoo wide. Sweet William add a pop of color to the browse enrichment bouquets. The edible flowers have a clove-like scent. 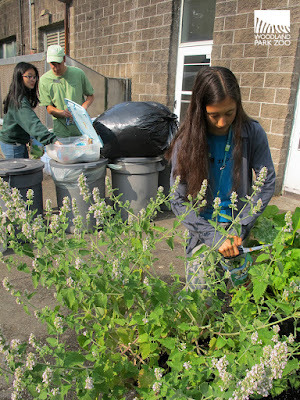 The ZooCorps teens gather a variety of herbs, flowers and vegetables that are placed into brown paper sacks. Depending on the week the content varies, but all of the plants are edible and safe for the animals to enjoy. Almost-ripe tomatoes and beans climb the bamboo poles in search of sunlight. Casey Iwamoto is a Senior at Chief Sealth High School and has been a ZooCorps member for 3 years, she is currently a ZooCorps intern. Casey says she had never thought of herself as a gardener, but has learned to appreciate the role that plants play in both animal nutrition and enriching their exhibits. Her work with head starting the Oregon silverspot butterflies introduced her to a species whose very existence is tied to the plant it thrives on, the early blue violet. Casey’s favorite animals are the ocelot and the jaguar, so she puts a little extra cat nip in their browse bags. She hopes to go into veterinary medicine or environmental studies. 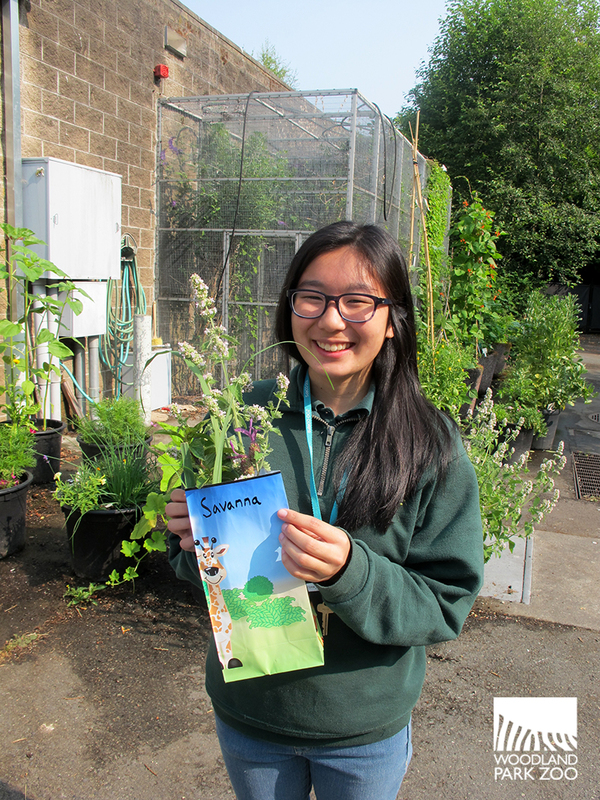 Sophie Yasuda is a Junior at Nathan Hale High School, she has been a ZooCorps member for 2 years. Sophie Yasuda came to the zoo all the time when she was younger, so it was a natural fit to join ZooCorps. 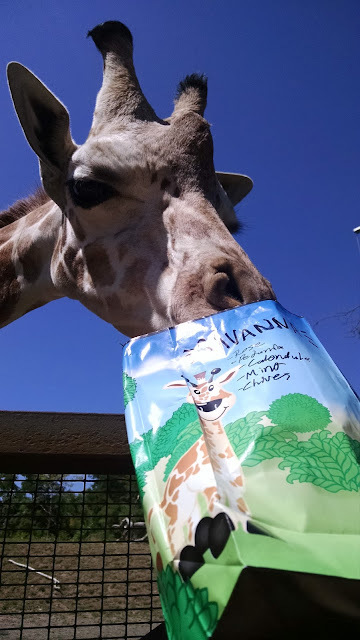 Her favorite aspect of the Browse Garden program is seeing the animals receive their browse. She says one thing that surprised her is that the animals are particularly interested in the colorful flowers and vibrant shoots—even animals love getting a bright bouquet! Sophie is interested in studying wildlife conservation or education. Xander Barbar is a recent graduate of Ingraham High School, has been a ZooCorps member for 4 years (currently finishing up 2nd year as a ZooCorps intern). 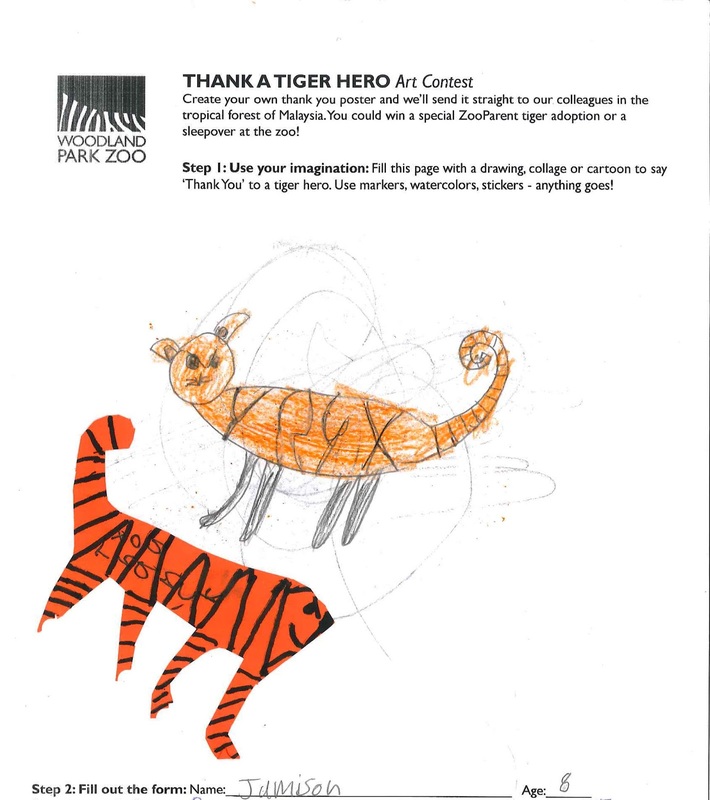 Xander Barbar remembers visiting the zoo at a very young age and says he was inspired to connect with animals and learn more about them. He says the most surprising aspect of the browse enrichment program has been that while he expected the browse to be used primarily as food—a lot of the animals are very playful and curious towards the new treats. They are smelling and touching the leaves, looking at the bright colors—just like humans would. Xander says that being proactive, flexible and asking lots of questions has served him well as a ZooCorps volunteer. He will continue to pursue his passion for animals at UCLA this fall and plans to major in environmental science or education policy. Erica Bonilla is a Senior at Liberty High School, she has been a ZooCorps member for 3 years. 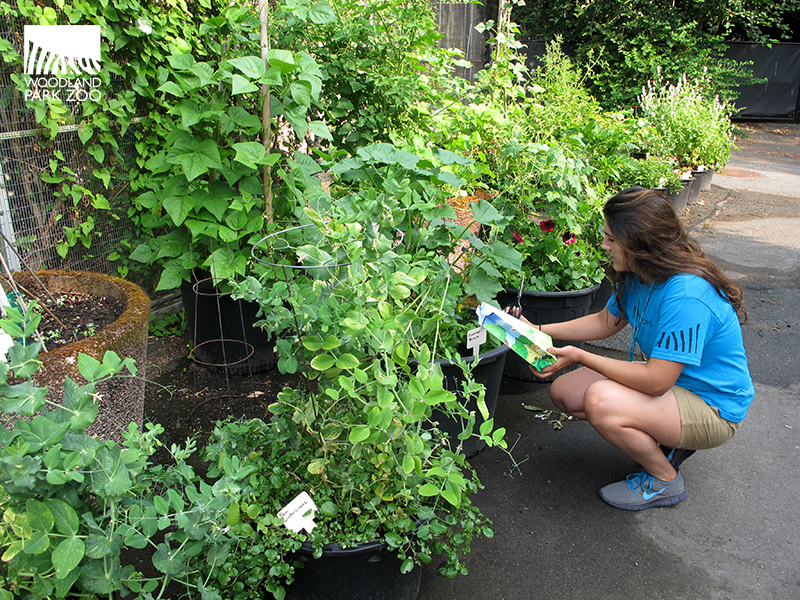 Erica Bonilla says she enjoys the therapeutic nature of collecting plants for the animals. She also really likes the idea that she is seeing the life cycle all the way through, “I get excited because I am literally redistributing energy. Each time I pick a flower it’s going to a living thing—towards new growth.” Her plan is to attend WSU’s Vet Study program and major in molecular, genetic or marine biology. Thank you, ZooCorps for taking such excellent care of our animals and enriching their lives with fresh, fragrant browse! And special thanks to our Senior Gardener, Katrina Lindahl, Zookeeper Amy Davis and Warehouser, Tonya Duncan for working with ZooCorps teens and inspiring them to get excited about plants and animal nutrition! Teens not interviewed: Amy Do is a Junior at Chief Sealth High School. Ashley Arthur is a Senior at Roosevelt High School. Kaitlin Peli '15 graduate from Henry M. Jackson High School (intern) and Gabriella Olague '15 graduate from Liberty High School (intern). When lead keeper Stephanie Miller tried to snap a photo of our male blue-billed curassow, he showed a lot of interest in her phone. Playing along, Stephanie reversed the camera so he could see himself on the screen. And that’s when he pecked at it, amazingly hitting the shutter button just right to take this perfect selfie! The duckface is over. It’s all about the curassowface now. And this critically endangered species from Colombia needs all the attention it can get! Look for this beauty in the zoo’s Conservation Aviary. Plus our heartfelt thanks to Deborah Jensen for 13 years of service! As zoo members, supporters and partners, you are an integral force in the success of our mission. 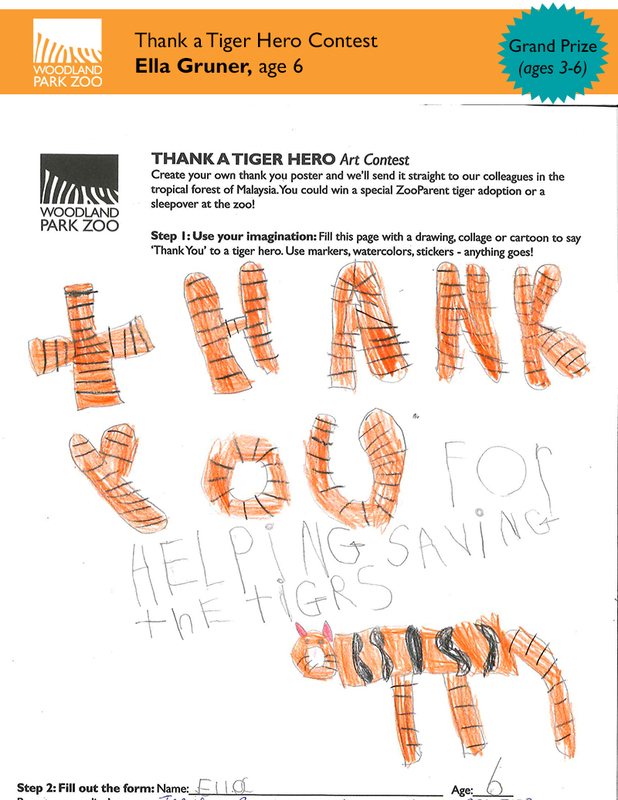 You also have a vested interest in the future of your zoo. 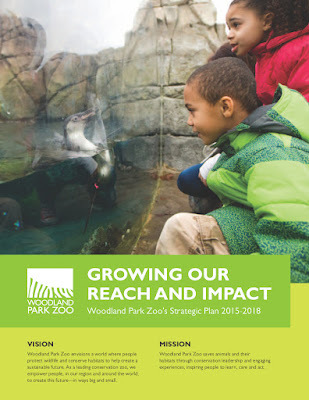 So, on behalf of all the zoo staff and board of directors, it is my pleasure to introduce you to Woodland Park Zoo’s new Strategic Plan 2015-2018: Growing our Reach and Impact. You’ll be proud to know that Woodland Park Zoo is already recognized as a standard-setter among top zoos and aquariums in the U.S. With this plan as our compass, we will evolve to meet our community’s current and future needs, while further shaping and modeling the purpose of zoo-based conservation organizations in the 21st century. Because a significant rise in population is anticipated for the Puget Sound region, we must dramatically increase our reach and impact to serve a growing community. But there is an even greater reason we must do so. 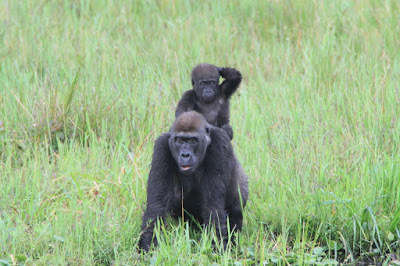 In a world of dwindling habitats and climate adaptation for all animals, including humans, we must engage millions of people in a transformational challenge: learning to share the planet’s finite resources sustainably with other species. 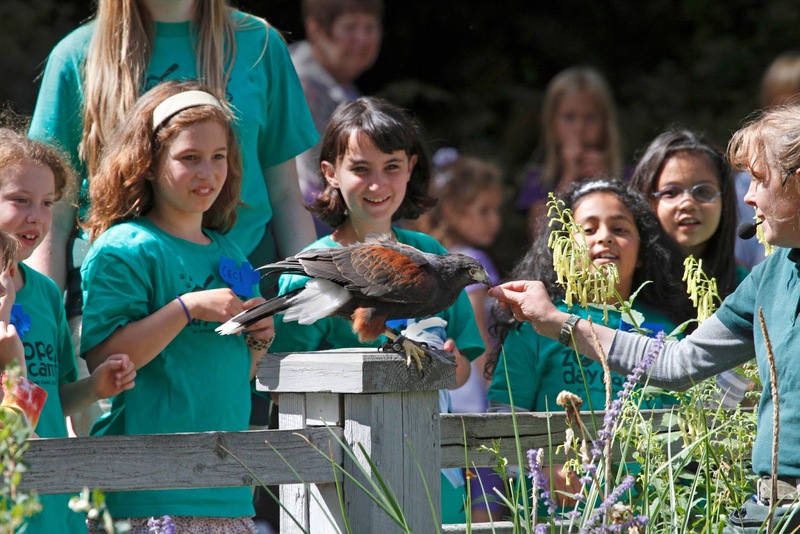 Click to read the Woodland Park Zoo Strategic Plan 2015-2018. 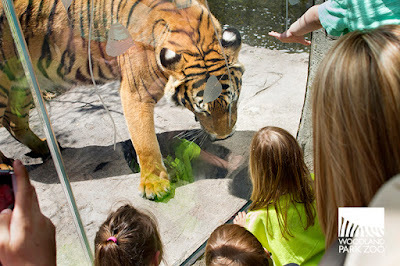 Improving the zoo experience for you and with you, and engaging a broader array of our community in meeting local and global environmental challenges, requires a steadfast gaze on our shared vision—a world in which people protect wildlife and conserve habitats for all species. To focus on this vision and further empower people as active partners in our mission, we have committed to strategic investments in six key areas. Reflecting expansion and innovation in some areas, and focus and refinement in others, all six commitments align synergistically to improve the efficacy of our quest: a more sustainable future for wildlife and people. The strategic plan was informed by performance and benchmarking data, member and visitor exit surveys, community polling, and stakeholder interviews that occurred throughout 2014. We thank all those involved, and the consultancy Zoo Advisors, for their help in charting our road ahead. What can you expect to see and experience over the next four years? There’s a lot to get excited about. First of all, our new Guest Experience Plan charts the way for exhibits, interpretive engagements, and science learning programs to provide more opportunities to get closer to animals and to enjoy more interactive experiences with expert keepers and educators. You’ll enjoy the evolution of our living collection through enhanced breeding and acquisition programs for endangered and threatened species, including tigers, snow leopards, Asian turtles, amphibians, tropical birds, Matschie’s tree kangaroos and more. 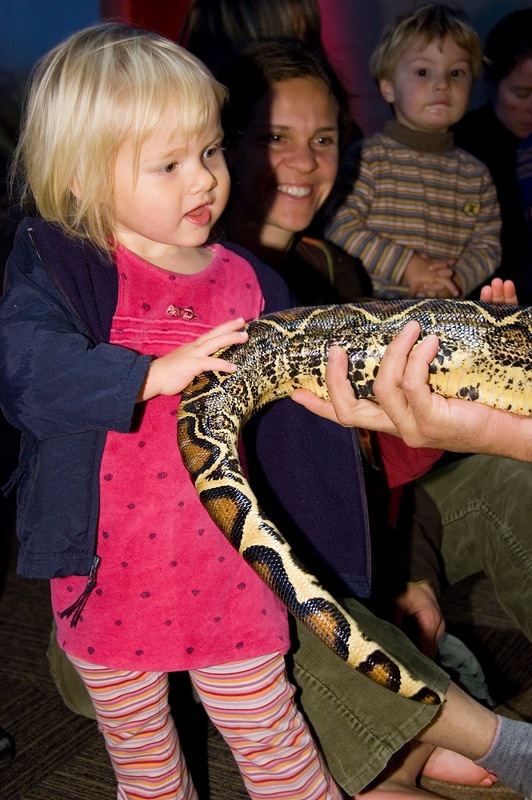 Along with fascinating natural histories of favorite animals, you’ll be more richly immersed in the science of caring for species, both at the zoo and in the wild. 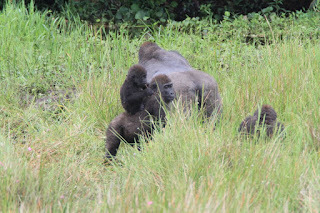 Critical health connections among animals, people, livelihoods, and landscapes will be an important theme. The reason to see animals at the zoo is to save them in the wild. With more explicit ties between our award-winning exhibits and our field conservation programs, you’ll enjoy more compelling stories of our Partners for Wildlife working to save these animals in the field. And you’ll have more immediate, hands-on ways to get involved in innovative projects in our own Northwest backyard and around the world. Enhanced social media and interactive learning technologies, along with new education and conservation partnerships, will facilitate more effective and innovative wildlife action campaigns and accelerate the reach and awareness of our mission. The goal is to enlarge the number of students, teachers and families, especially those from underserved communities, participating in science learning and in tangible conservation projects while also improving the measurable impact of every zoo experience. Our zoo is a complex organization. To grow our reach and impact requires seamlessly weaving together many disciplines—the biological and veterinary sciences, conservation and animal care, teaching and learning, architecture, landscape design and horticulture, research, and customer service and community building, just to name a few! Strengthening our organization calls on us to more effectively leverage all our assets—people, dollars and brand—as One Zoo. 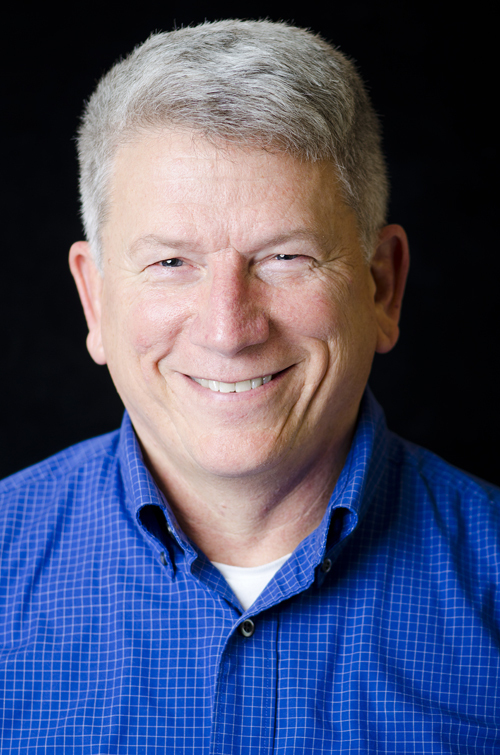 Many inroads have already been made on the plan’s first year. Thanks to thousands of generous supporters, the new Malayan tiger and sloth bear exhibit—Banyan Wilds—opened this May to great public acclaim. 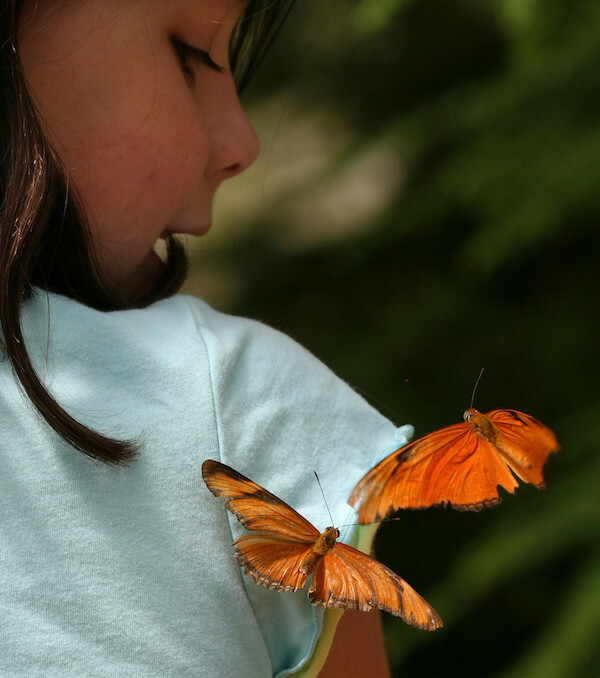 Along with improvements to Zoomazium and its 10-year anniversary celebration, look for the much-loved butterflies exhibit to return in 2016, along with the popular Night Exhibit in 2018. Over the next two years, we will expand our presentation animal program, a favorite among youngsters, schools and community groups. For many, this gateway program is their first intimate animal experience, an especially effective one for sparking lifelong empathy for wildlife. In addition, we will lead national research on the development of empathy in children and adults. To learn more, I encourage you to read through our strategic plan, then dialogue with us via email or when you next visit the zoo. What are you most excited about as we build the zoo’s future? Where do you wish to play a more active role? 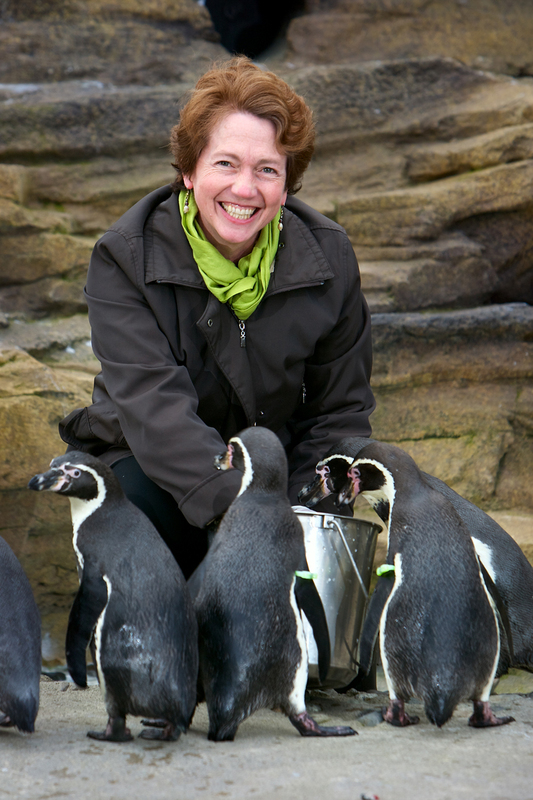 Deborah brought a combination of systems thinking, science savvy, and nonprofit and conservation leadership at a significant time in the zoo’s history as we transitioned to a new, 20-year management agreement with the City of Seattle. Over the last 13 years, Deborah helped unify our organizational culture and led our staff’s efforts to nearly double total annual revenue, dramatically increasing philanthropic and earned revenue while ensuring the stability of much-needed public funding. Dr. Deborah Jensen. Photo by Matt Hagen. 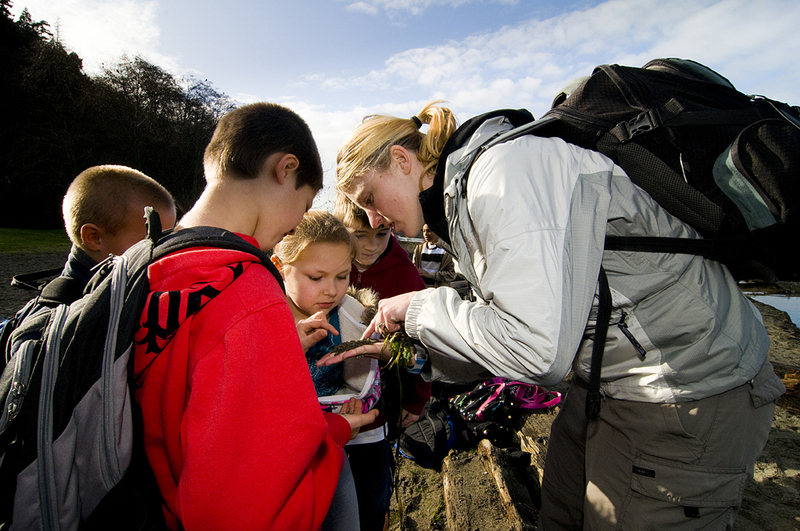 Investing in growth of our organization’s programs and partnerships has resulted in greater welfare for animals; more modern and more green exhibits and facilities; more hands-on science and conservation learning for students, teachers and families; higher quality customer service and guest amenities; increased capacity-building and legislative efforts to save wild landscapes; deeper staff and community engagement in protecting wildlife and nature; and the largest membership base among Puget Sound area science and cultural attractions. The WPZ Board of Directors, staff and I are grateful for Deborah’s steadfast commitment to our mission. We wish her every success in her next chapter. 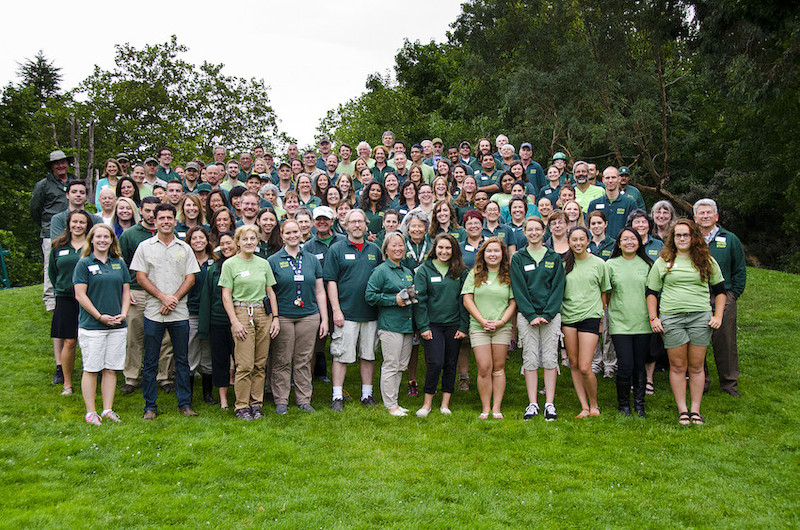 The biggest compliment we can pay now is to celebrate these successes, accelerate our evolution as a conservation zoo, and involve more people in learning, caring and acting on behalf of wildlife. With a solid strategic plan, a committed board, the enthusiasm of 350 staff and 750 volunteers, and loyal members and donors, we are certainly poised to deliver on this promise.